EVEN in their favourite costumes Robyn Lewis and Paula Reck weren't above getting down and dirty for a good cause. 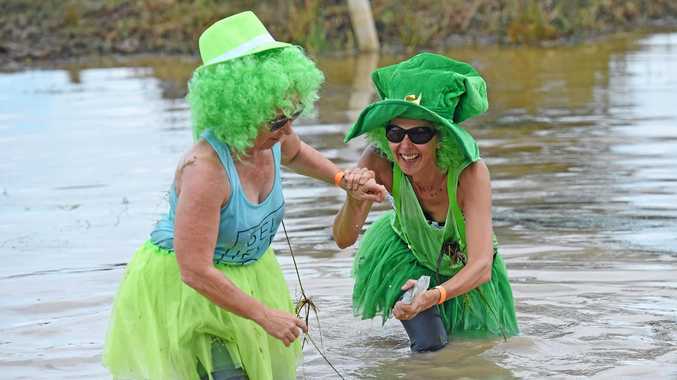 With gruelling cargo net crawls, mud banks and even a course with an ice bath, the Fraser Coast women endured some of the toughest conditions during the 2019 Tuff Dunga obstacle course challenge. 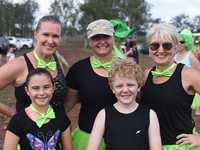 Hundreds dressed in their best costumes or green get-ups in honour of St Patrick's Day, which raised funds for the Dunga Derby and Rally For A Cause charities. The 5km and 10km challenges threw a variety of obstacle courses at participants, including mud and river treks and a course involving detergent and diving. Organiser Sue Edward said between the 5km and 10km events, about 275 people, including a blind woman and her carer, braved the challenges. She estimated about $5000 had been raised from the event. "We're absolutely stoked with how it went as it hasn't been run for a couple of years," Ms Edward said. "The Susan River Homestead let us use the land with no charge. "With all the support we've had this year it should continue to run with the Dunga Derby and Rally for a Cause teams." Now an annual tradition on the Fraser Coast, Rally for a Cause raises money to support families in the region with life-limiting medical conditions. 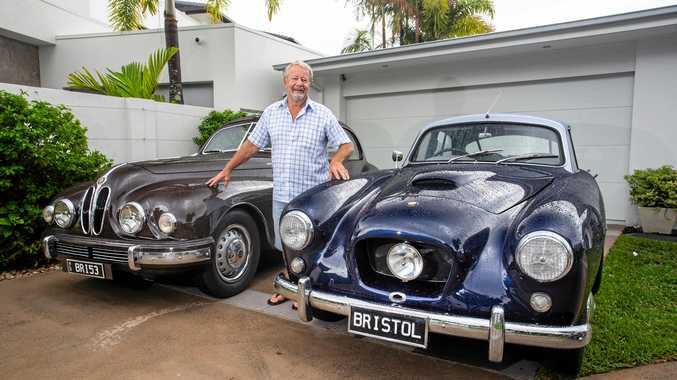 The four-day car rally adventure is held in the first week of August and usually involves a major convoy from Hervey Bay to the bush. As one of the first charity-supporting events for the two groups, Ms Edward said residents could expect more fundraising drives for the charities to start in the coming weeks. "This will be the kickstart for all the Dunga Derby and Rally for a Cause events until August," she said. "Hopefully it will encourage everyone to get out and support all the events over the next six months." The official 2019 Dunga Derby will be held from August 1-4.